I'll start with some food. Rambutan is a relative of the Lychee so the flavor was similar. Mangosteen looks beautiful in its outer cover and is a segmented white fruit inside. Its full of antioxidants, fiber and vitamins. My nephew had vegetable and pork soup in Chinatown. 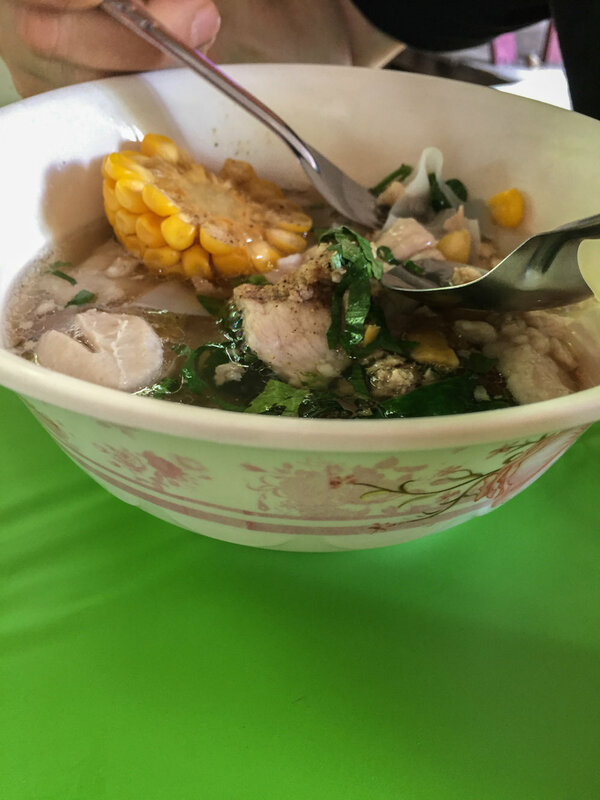 The appetizer plate, Miang kham is eat onleaves..very tasty bite! Butterfly pea flower iced tea starts out blue but adding lime gives it the beautiful purple color. Finally delicious spicy soft shell crab curry, my favorite! Now for the sites. 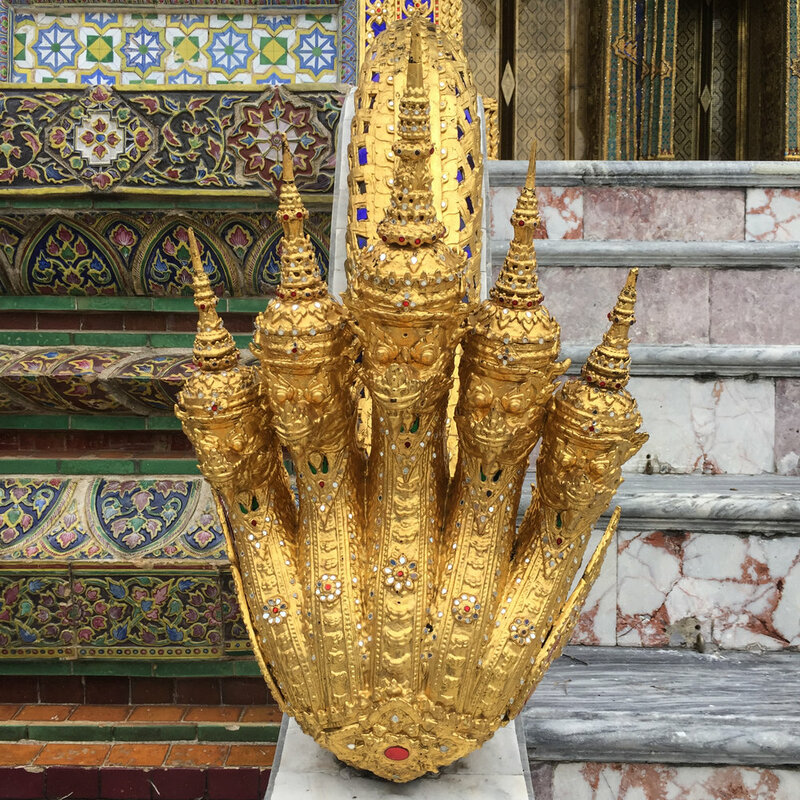 The Grand Palace is just that-Grand. It'smade up of numerous buildings, halls, pavilions set around open lawns, gardens and courtyards. There is more gold in this complex then I have ever seen, the statues are filled with details, heads on toes of feet, wings, gods, goddesses. 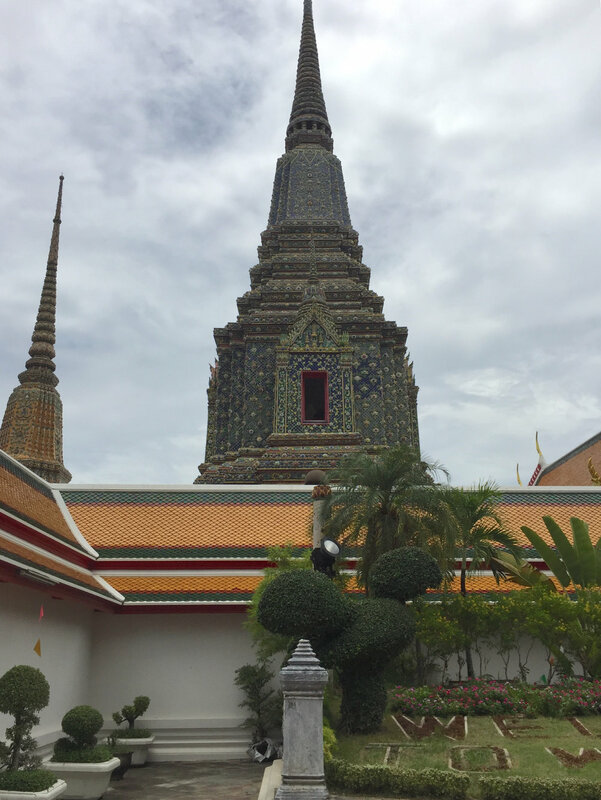 Wat Pho - the Temple of the Reclining Budda is one of the largest and oldest temple complex in Thailand. 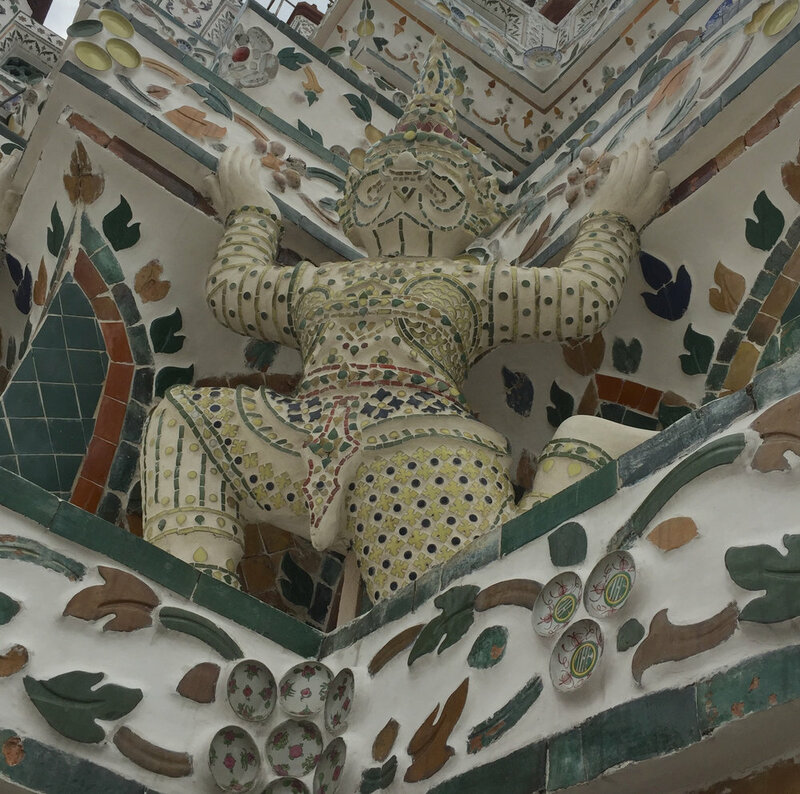 the architecture is less extravagant but full of detail.